Venture out of the city with trips to Dolphin & Whale Watching (in Mandurah), Fremantle (Fremantle Prison, Western Australian Maritime Museum, & more) and Caversham Wildlife Park (in Whiteman). Dedicate the 14th (Thu) to wine at some of the top wineries in the area. Pack the 16th (Sat) with family-friendly diversions at Adventure World Perth Australia. 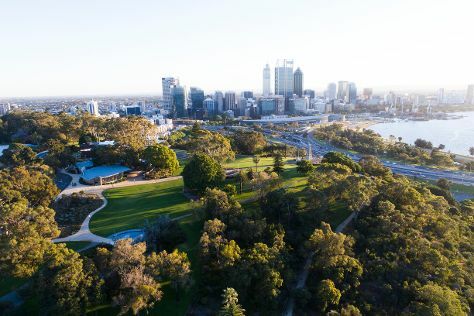 There's still lots to do: stroll around Kings Park & Botanic Garden, explore the activities along Swan River, admire the masterpieces at Art Gallery of Western Australia, and tour the pleasant surroundings at Cottesloe Beach. To find reviews, where to stay, other places to visit, and other tourist information, read Perth trip itinerary maker tool . If you are flying in from Singapore, the closest major airport is Perth International Airport. March in Perth sees daily highs of 34°C and lows of 19°C at night. Cap off your sightseeing on the 16th (Sat) early enough to travel back home.